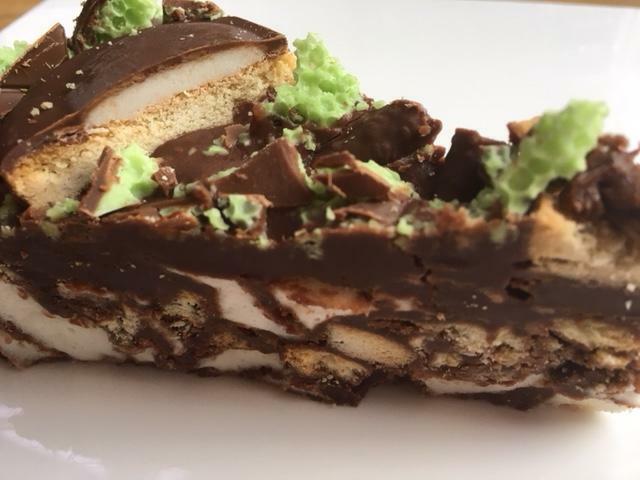 Minty madness in a Rocky Road slice! 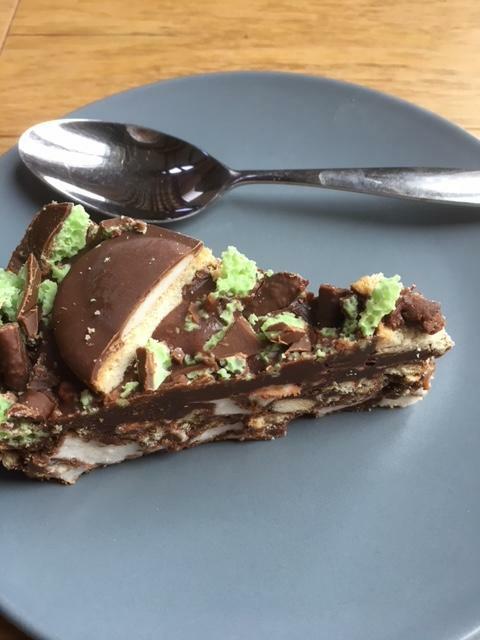 Delicious chocolate, biscuits, homemade vanilla marshmallows crammed full with Mint Aero, Mint matchmakers and Minty Viscount biscuits. A perfect combination for all chocolate mint lovers!